ALBUQUERQUE, NEW MEXICO (ANS)—If I was a typewriter, I’d be a Smith-Corona Electric. First introduced in the late 1950’s the Smith-Corona electric, when working properly, types like a dream: smooth, clean, and engaging. I own three later models, including the Electra 120 and 220. I’m not a typewriter; nevertheless I sure do appreciate them, having written about them often for ANS. Over the course of my typewriting interests, I’ve met fascinating people, repairmen like John Lewis, and aficionado’s from the Albuquerque Typewriter Society (aka… ABQuerty). Recently, I’ve connected with a veritable typewriting expert (he may not think so, but to a novice like me, he’s legend). 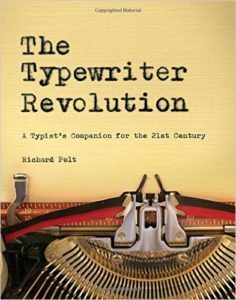 The author of the Typewriter Revolution, Richard Polt is the manager of Xavier University’s typewriter page—The Classic Typewriter, a cornucopia of information about typewriters. Polt happens to be a philosopher as well, with a specialty on Martin Heidegger. I suppose phenomenology and typewriters have a close affinity. What, I’m not sure—but it’s there. I’ve emailed Polt on a couple of occasions to see if he can identify typewriters used by some writers not on his page. Not only is Polt quick—he got Malcolm Muggeridge’s Olivetti Lettera 22 upon sight, but he’s friendly—as most typewriter folks are, quick to share information about the beautiful machine. Yet my request concerning Eller got me thinking. 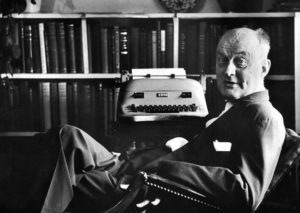 What other theologians and Christian thinkers used typewriters? And were they as connected to them as some writers on Polt’s page? Though not a theologian, per-se, I mentioned in a previous article that Billy Graham had type-written notes. And I know Vernard Eller used a typewriter—as the pics attest. Are there others? The answer is yes. Though not all the listed below are classified as pure theologians, these Christian thinkers are known for integrating faith within their writing or art from a distinctly Christian viewpoint. Here’s some to check out (many are found on the The Classic Typewriter site). Awdry, Wilbert. British pastor and railway enthusiast. He’s best known as the author of Thomas the Tank Engine. The Classic Typewriter page notes he wrote on an Imperial 66. 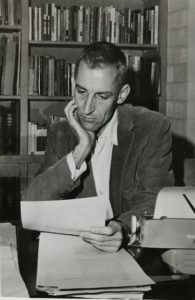 Berrigan, Daniel. Priest and activist. Wrote on a typewriter, often from jail. Berry, Wendall. According to the Classic Typewriter page, Berry used a 1956 Royal Standard. And in Berry’s article, Why I am Not Going to Buy a Computer, he elaborates on his use of the typewriter. Carol, Lewis (Charles Lutwidge Dodgson). Was an Anglican cleric and author of Alice in Wonderland. He wrote on a Hammond No. 1. Day, Dorothy. Journalist and founder of the Catholic Worker Movement. I can’t make out the model of her typewriter, but it’s there. Eller, Vernard. Theologian and Kierkegaard scholar. Author over 20 books on varying topics. He wrote on a 1950’s Smith-Corona. Eliot, TS. American poet and Christian statesmen, known for his poetry and book Christianity and Culture. The Classic Typewriter page states that Eliot used several typewriters, including a Smith-Corona Speedline. Everson, William (Brother Antonius). Poet, typesetter, and Dominican monk. He founded a print shop known as Lime Kiln Press. Typewriter model unknown. Houédard, Sylvester Dom. As one of the prominent clergy-typewriter enthusiasts, Father Dom Sylvester Houédard is attributed to creating typewriter art via his concrete poetry. Kirk, Russell. Educator, author, and Christian humanist; online pictures of him are with a typewriter. Lax, Robert. Poet and Christian mystic, Lax used a typewriter at his home in Greece. Lewis, C.S. Christian author and apologist. Though not a typist himself, his brother Warren used a Royal Signet to type up Lewis’ manuscripts. McCarthy, Cormac. The man with one of the most famous typewriters, McCarthy infuses deep theological questions within his novels, creating a whole sub-genre of study surrounding his theological inquiries. He was raised Roman Catholic and uses an Olivetti Lettera 32. Muggeridge, Malcolm. British journalist and Christian statesman. As noted above, he wrote on an Olivetti Lettera 22. Niebuhr, Reinhold. American theologian and social philosopher. Wrote on an IBM. O’Connor, Flannery. Roman Catholic author writing in the Southern Gothic genre. She wrote on a Remington Deluxe Noiseless. I own one in her honor. Packer, J.I. Theologian and author. Wrote on a Oliver Typewriter. As his famous story goes, he wanted a bike for his birthday, but his parents got him a typewriter: an author was born. Pius XII, Pope. As noted on the Classic Typewriter page, he used an Olivetti Studio 42. Stott, John. Pastor, Bible commentator and popular theologian. 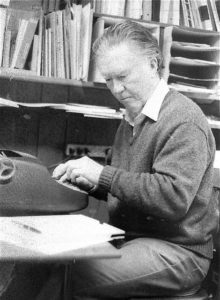 All of his 50 plus books were written using a typewriter. Stafford, William. Though not a theologian, but a poet, Stafford’s poetry is filled with mystery and theological affinity, due to his affiliation with the Church of the Brethren. Tolkien, J.R.R. Catholic author known for his Lord of the Rings trilogy. Wrote on a Hammond. Tolstoy, Leo. Novelist and Christian philosopher. Dictated to his daughter on a Remington. 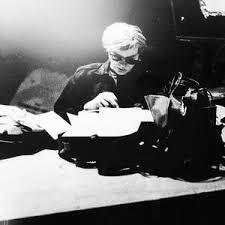 Warhol, Andy. Not a theologian, but an artist and author. His later work, prior to his death in 1987, focuses on Jesus Christ. Andy was a regular church attender his entire life. 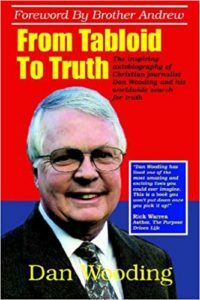 Wooding, Dan. British journalist and founder of ANS news. Dan wrote on an IBM Selectric. I’m sure there’s many, many more. How I’d love to know what Hans Urs Van Balthasar typed on? Or Dietrich Bonhoeffer? 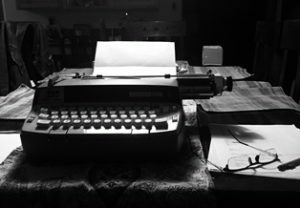 Even Frederick Buechner or Thomas Merton—if they used a typewriter. 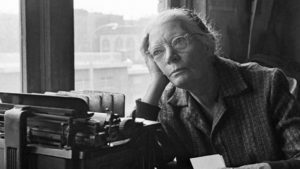 What about the great Dorothy Sayers or Albert Schweitzer, shown only with a pen in hand? Evangelical author, A.W. Tozer? And modern theologians like Norman Geilser, Stanley Hauerwas, Ronan Williams or N.T. Wright—probably—use computers, but who knows? Typewriter fans abound in interesting places, including theologians and Christian thinkers. He co-authored with his wife, Elizabeth (“Tib”), many top-selling books that changed a generation, including The Hiding Place, The Cross and the Switchblade and God’s Smuggler. How did Pyongyang go from the ‘Jerusalem of the East’ to the center of hate and a possible catastrophic war?